The Booyah Pond Magic Buzz is the definitive 1/8oz buzzbait on the market. 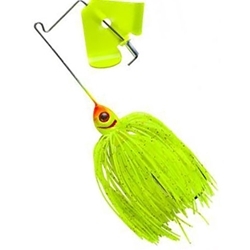 The colored blades and matching 60-strand silicone skirst match the forage base of even the most finicky bass. They come equipped with a Mustad ultra point hook and a hard coat paint scheme.